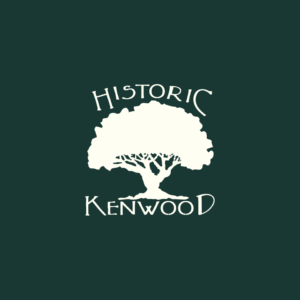 The Historic Kenwood Neighborhood Association invites you to join us for our annual Founder’s Day event! 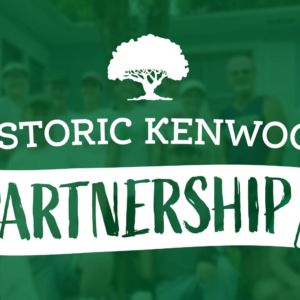 This is how we celebrate the founding of our neighborhood and show appreciation to the city of St. Pete and our neighbors for their endless support. 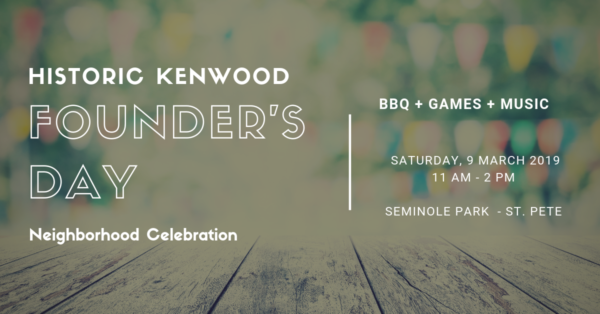 This free family-friendly event features old fashioned games for children and adults, face painting, a bounce house, and visits by city dignitaries. We’ll have loads of wonderful food including grilled burgers, hot dogs, veggie burgers and tasty sides! DJ Tim is back by popular demand! This year, our honored guests (TBD)! We strongly encourage all of our city officials (even those of you behind scenes) to bring your families and celebrate with us!